I went out for a Sunday morning run now that the snow has gone. There are two McDonalds within a mile of where I live in Watford. When I ran past this one today this was the QUEUE! I ran past the checkout and all the counters were empty…….the queue was so people didn’t have to get out of their car. Is it just me or do you wander what the world is coming to? Like everyone I love a treat…….but this is what I see literally whenever I pass this place. 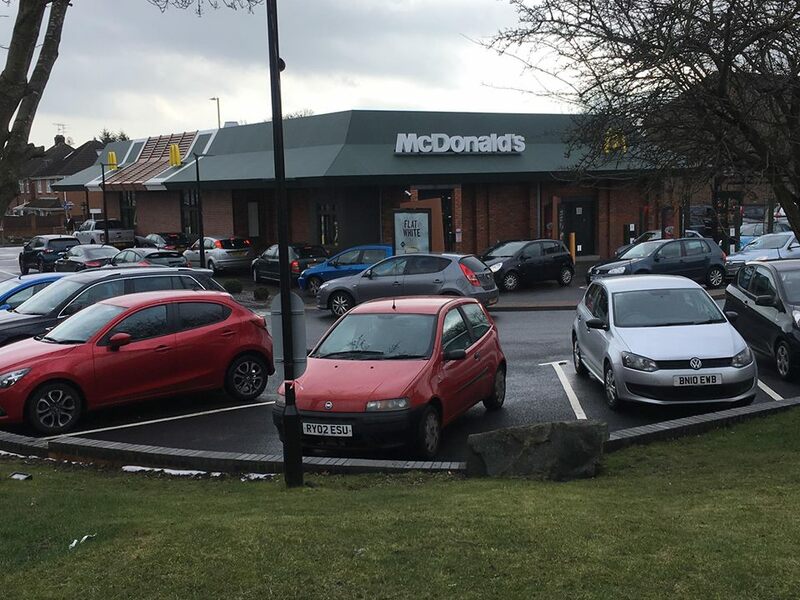 It’s packed and no-one gets out of their seats, everyone visits the drive through. I went out for an italian meal and wine last night. As I knew I would be ‘letting my hair down’ I walked the 4.4 mile round trip to balance things out. When obesity has as many health problems as smoking……what do to encourage people to make little changes……even as little as walking from their car to the restaurant?